During practice or contests, there will be many occasions when one or both judomen will fall to the mat. This may be through an unsuccessful technique by the opponent or simply overbalancing yourself when trying to throw. In either case it is essential to continue the attack on the ground. There are three ways of scoring on the ground. These are: to hold the man down for thirty seconds, to strangle him till he submits and to apply a lock on his elbow. It is possible to do arm locks and strangles when standing up but these are specialist techniques. Most locks and strangles are done on the ground. A word of caution before describing these techniques. Some of them can be very painful. When the man in a lock or strangle wishes to submit he must signal by tapping sharply two or more times on the opponent or on the mat, either with his hand or foot. Should he be tied so much that he can't move then he must shout his submission. Needless to say the man applying any lock or hold must do so with care, be aware of any signal of submission and release his lock or strangle instantly. There is a tendency for judomen to neglect groundwork. On the other hand, there are one or two rare individuals who specialise in groundwork. It is noticeable that all the judo champions are very skilful at groundwork. 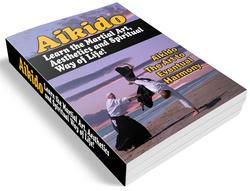 The all-round judomen should be at home either standing up or down on the mat. Therefore any opportunity for doing groundwork should be taken so that it becomes a habit. Should your opponent stumble, never be content to let him stand up again. As he stumbles, dive in immediately for a strangle or a lock. Shortly after I won my black belt 1st Dan, I injured my ankle rather badly and was unable to do any standing judo for six weeks. I used this time to do nothing but groundwork. When my ankle had got better I found that I had gained a considerable edge on the ground over my fellow 1st Dans. This helped me to win many contents and got me a reputation as a 'groundwork man". Since that time I have paid a lot of attention to groundwork technique and have won many contests on the ground. One interesting effect of having such a reputation is that it restricts your opponents' throws considerably. He won't attack with anything that can be easily countered or blocked for fear of being taken down. This means that you can open up with your own attacks. As in the throwing section, there is a huge range of techniques on the ground and here are some of them.